If you’re like me and have teenagers that won’t touch your musical preferences with a ten-foot pole and would rather get an outbreak of acne than spend any time with you, then leave them back at the house with their iPads and treat yourself to an evening of live music at the Roberts Block in Glenside. The Acoustic Keys expertly play a lively set of mostly covers from the 60s, 70s, 80s, and beyond. 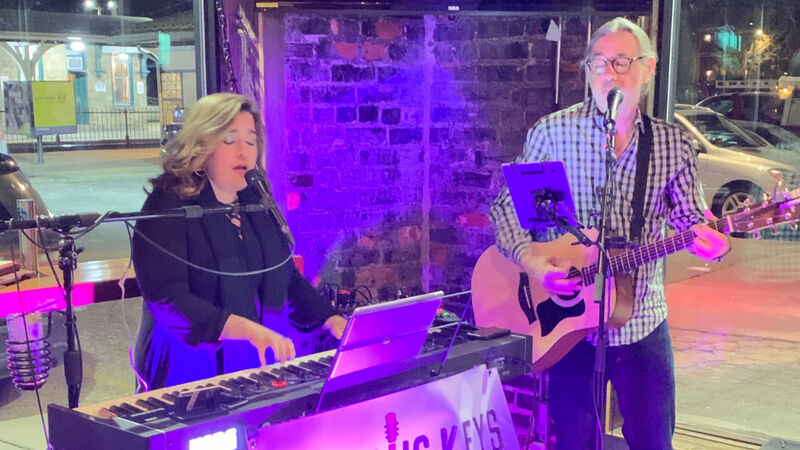 The band features Jenkintown residents Lisa Ridenour and Joe Mahoney, and is a fixture of venues in and around the valley. Their appearance at the Roberts Block only makes a great restaurant experience even better.